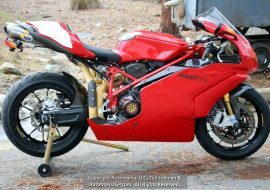 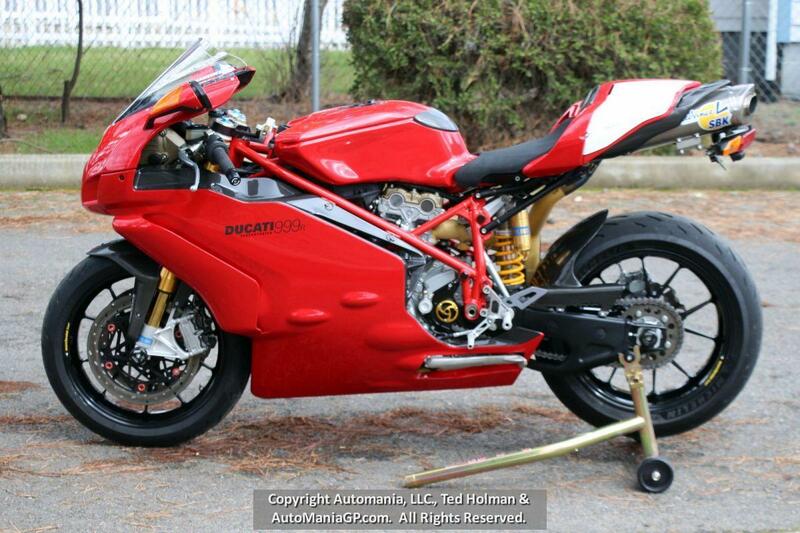 This is what a sportbike should still look like, if you ask me. 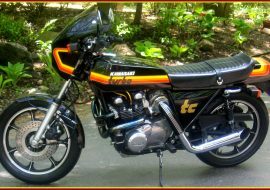 Loud, high-contrast, aggressive graphics wrapped around a stubby, purposeful chassis carrying more engine than makes sense. 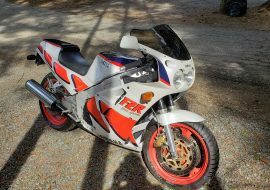 There are, of course, a ton of newer bikes that hit the right aesthetic notes, but none have the same Air Jordan vibe of the mid-late '90s bikes. 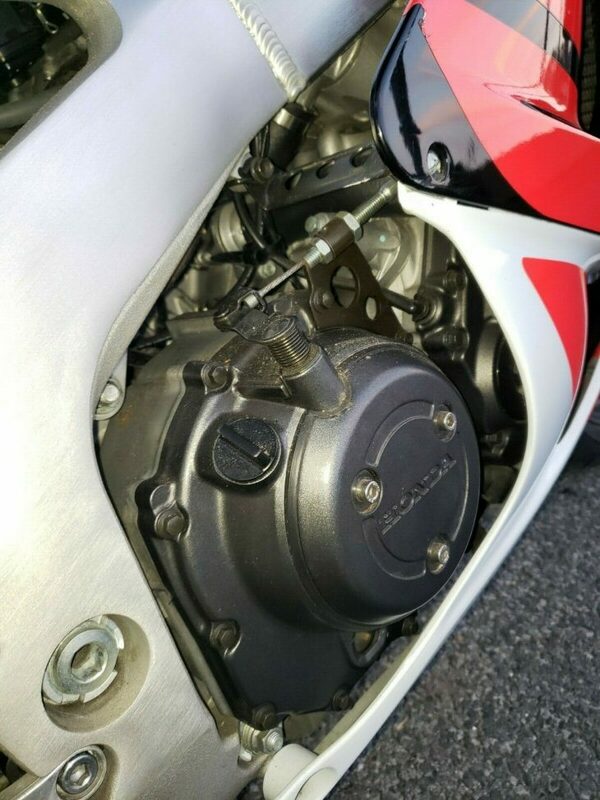 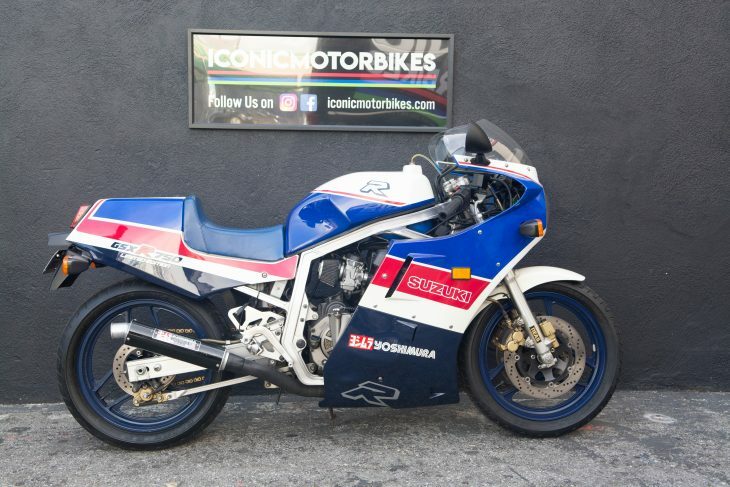 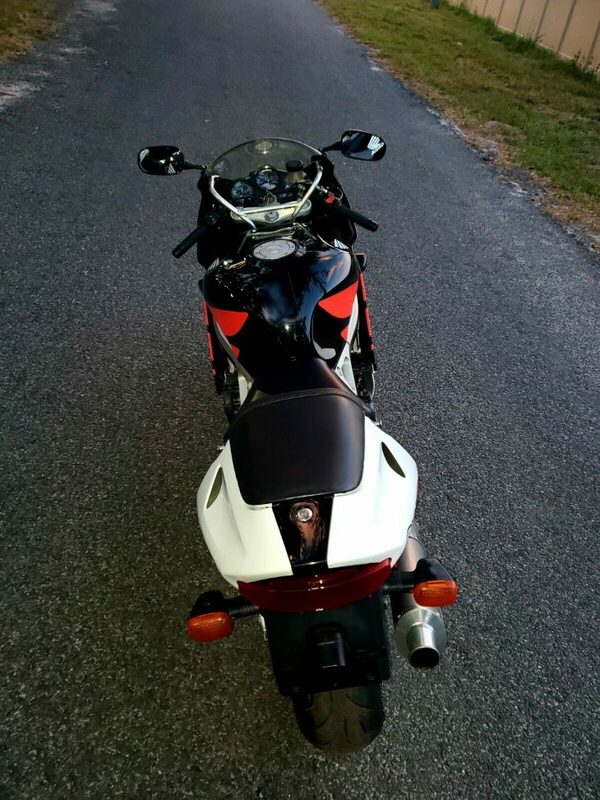 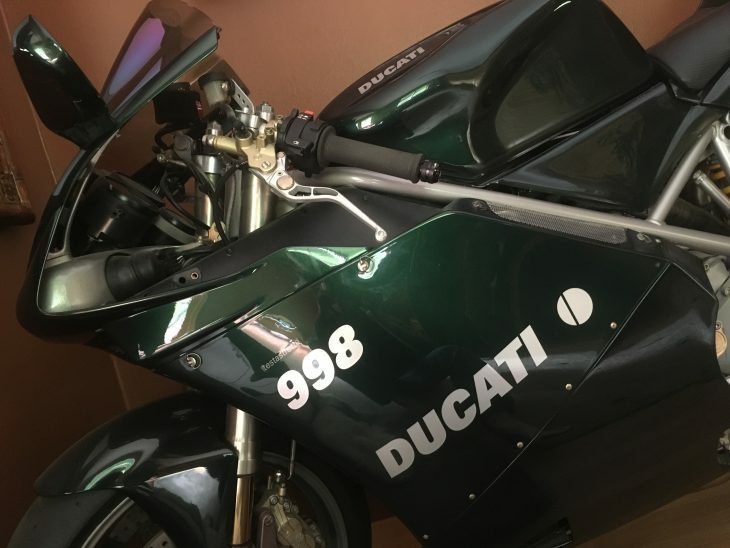 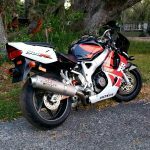 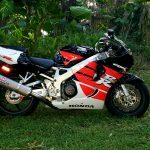 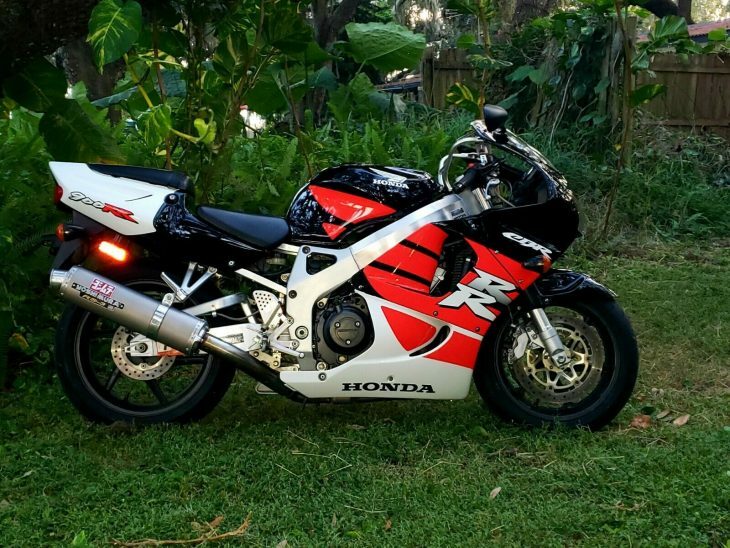 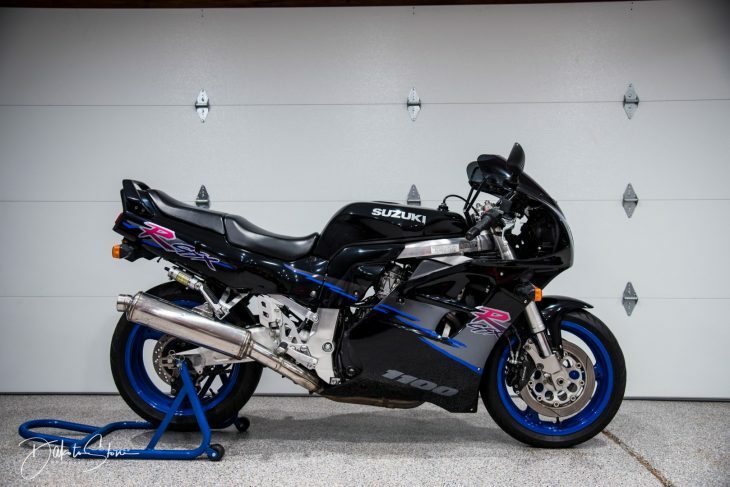 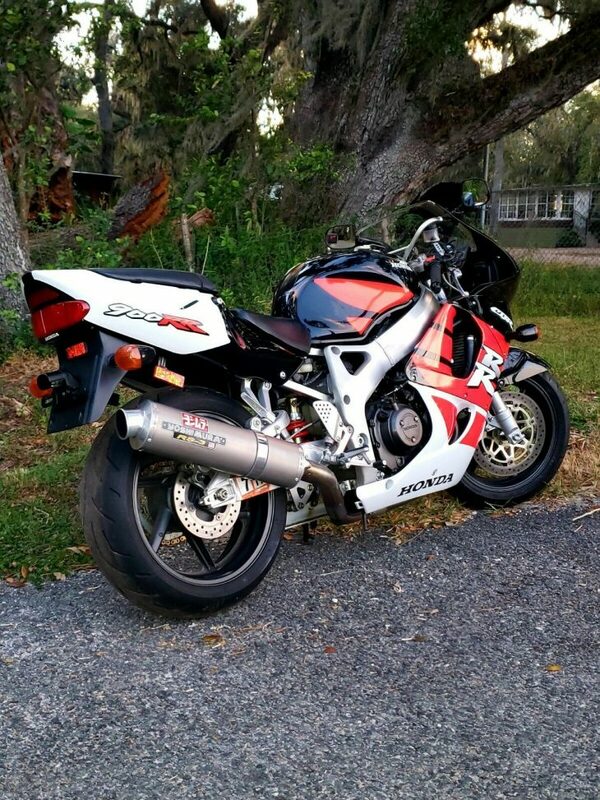 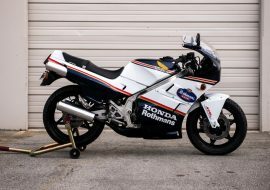 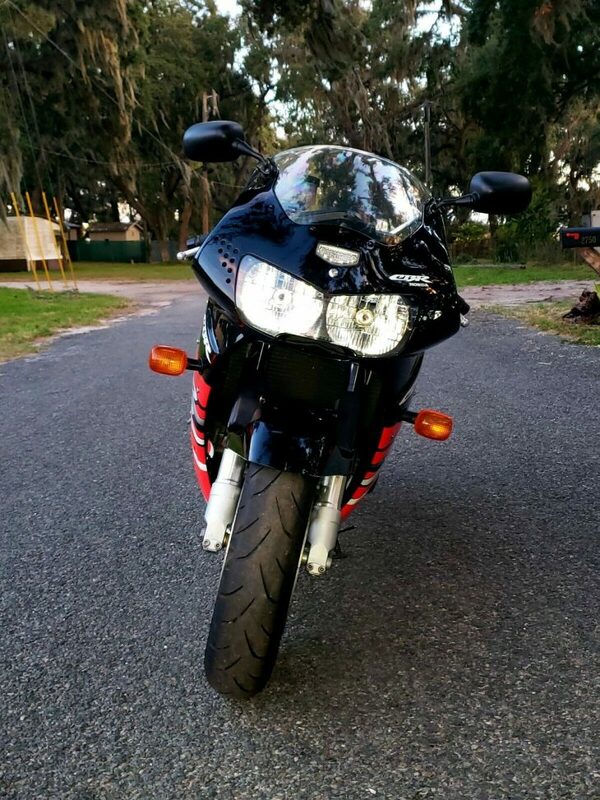 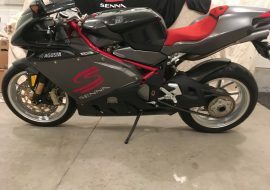 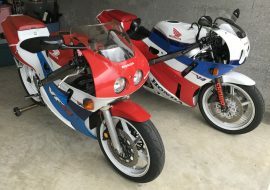 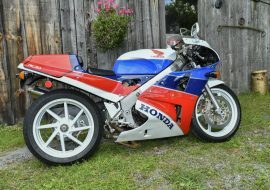 This 1999 Honda CBR900RR hits all those perfect notes, and is in excellent condition so the madness can be fully appreciated. 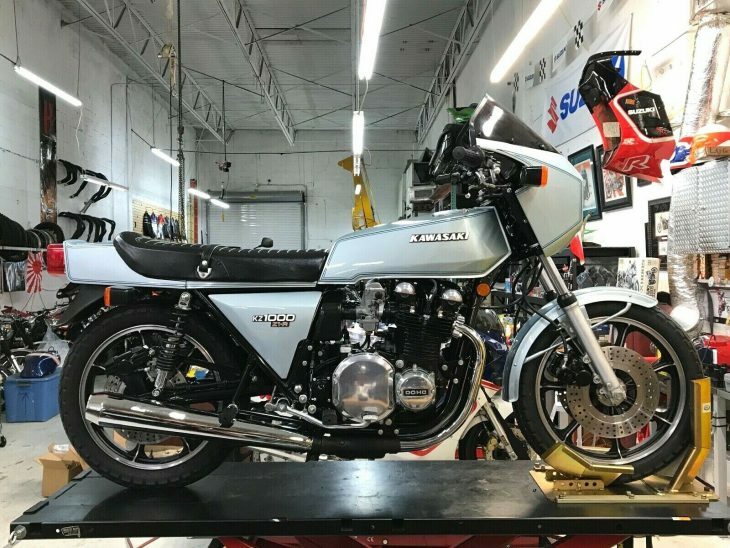 It has clearly been garaged and well cared for, and the seller says he recently checked the valves and made sure the carbs are clean. 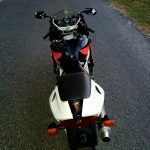 It has also apparently been lowered. 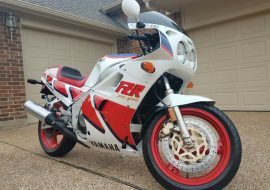 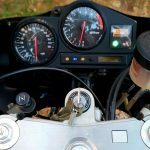 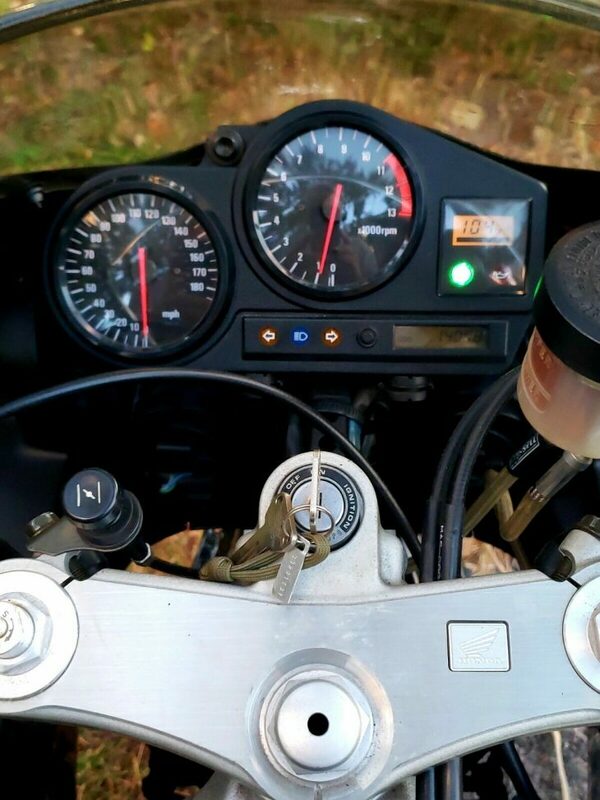 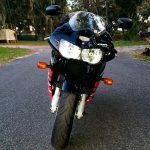 It's not a flawless bike after 20 years and 14,000 miles, but it's an excellent rider that stands above most other CBR900RRs you'll run across. 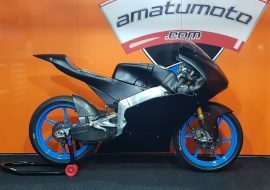 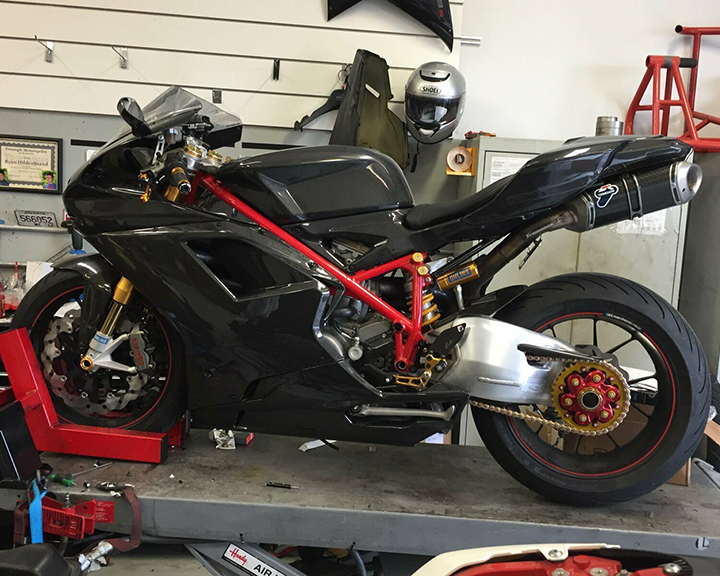 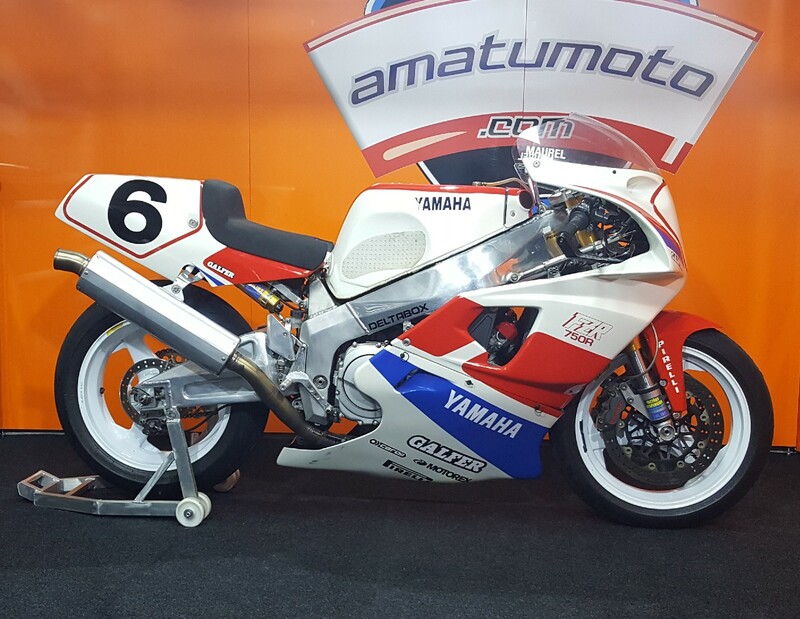 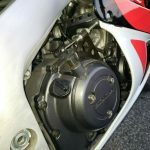 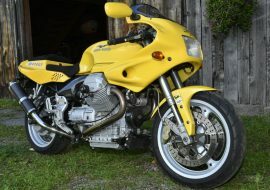 By the time this bike was built, the model's star had faded somewhat, as the Yamaha R1 had bowed the year before and managed to scare the pants off anyone with the brass to go near its limit. 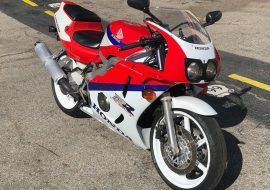 When the Honda CBR900RR debuted in 1992, it had landed with a similar seismic impact. 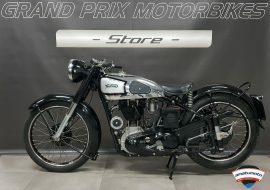 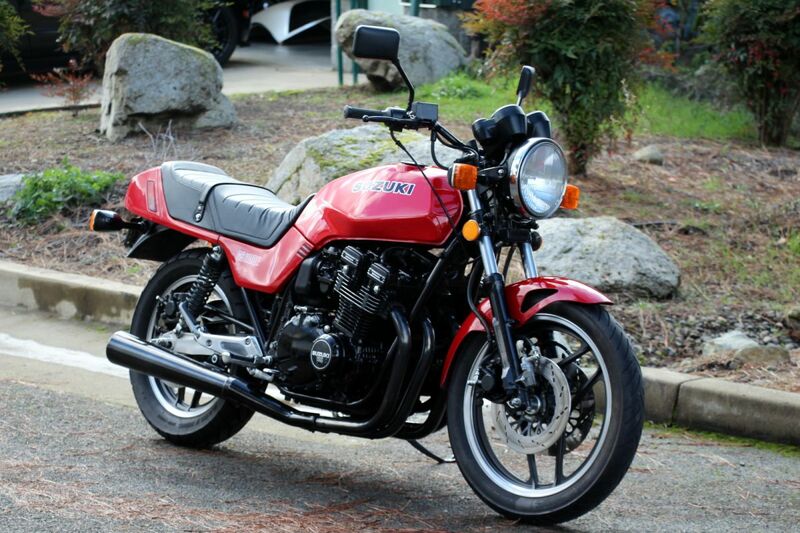 It had the stature of a 600 but an engine that very closely approached the power of its rivals' 1,000cc offerings. 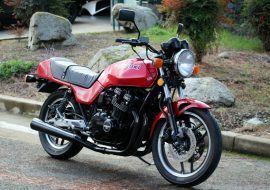 With less weight to pull around and snappy handling thanks in part to a 16-inch front wheel, the 900 made everything else seem a little flabby and out of touch. 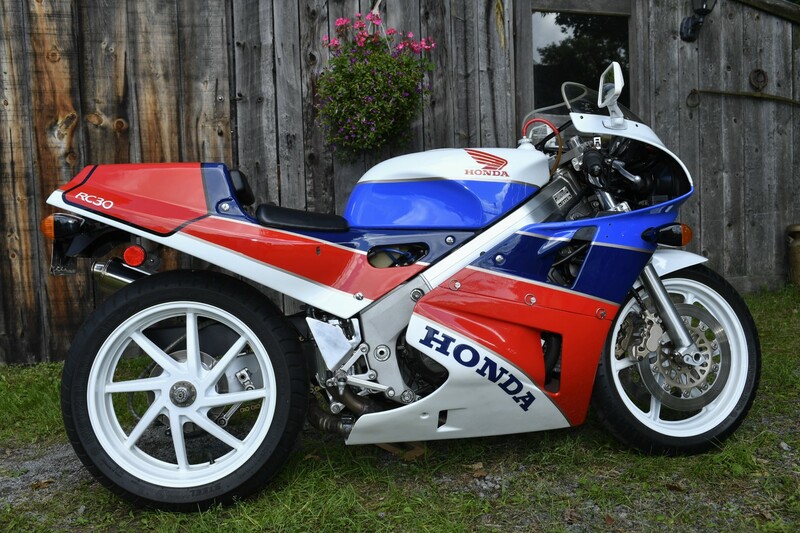 The later CBR900s had a very slightly punched out engine, a stiffened chassis and bigger brakes than the original. 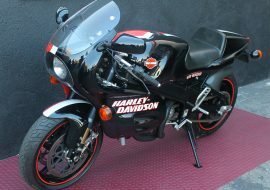 An angular single headlight had replaced the original's iconic round-eyed visage. 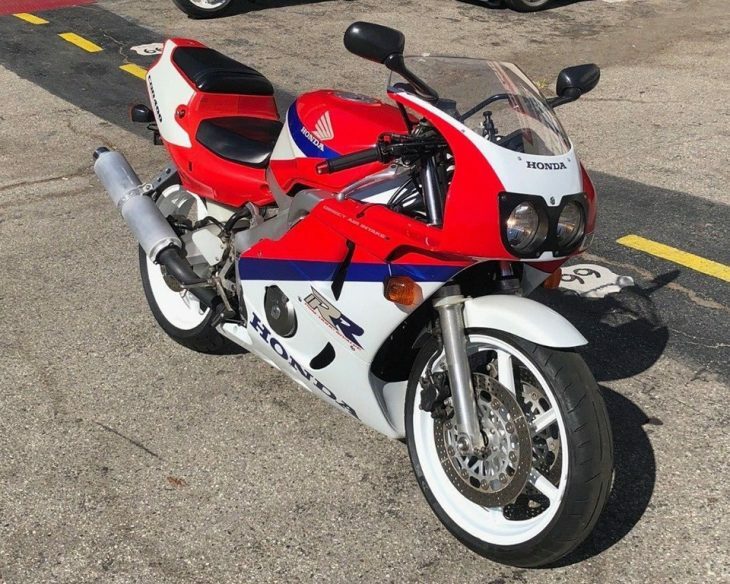 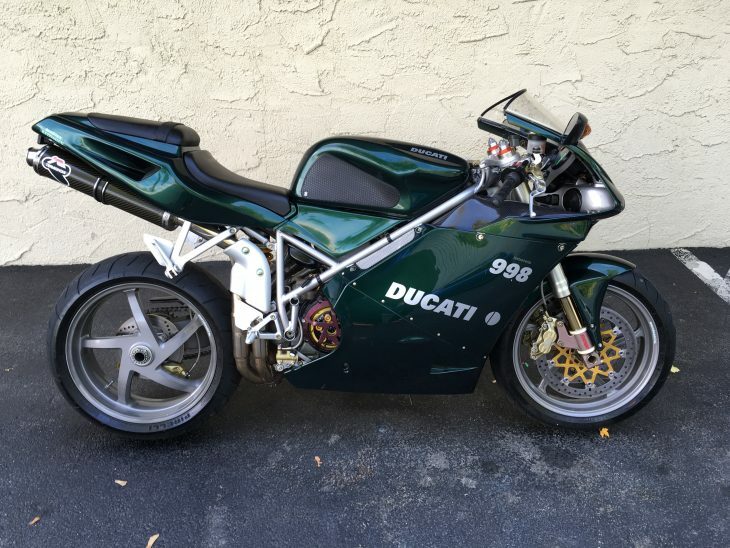 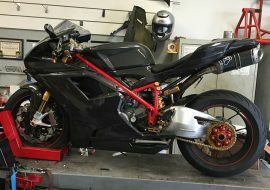 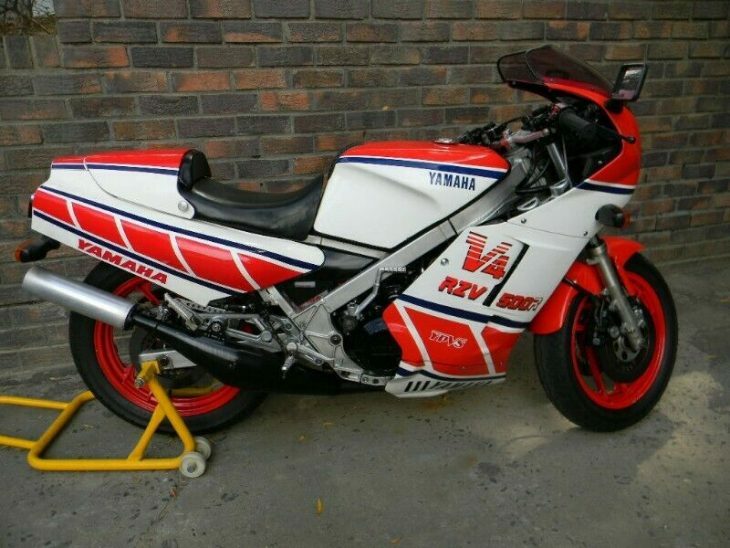 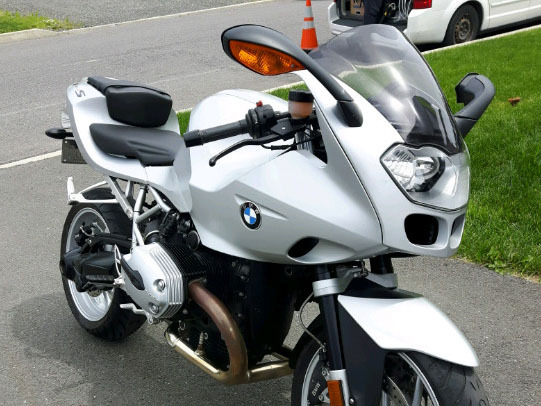 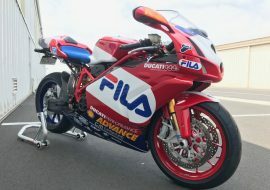 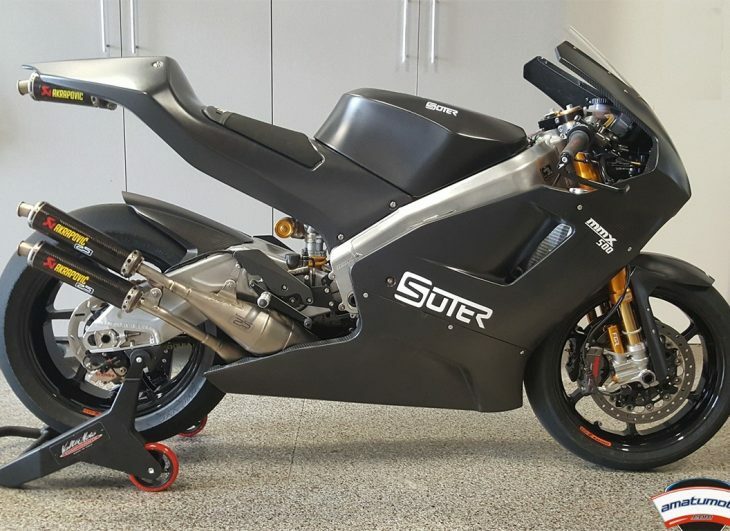 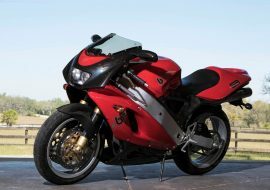 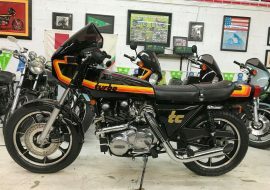 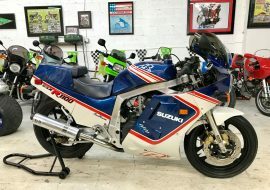 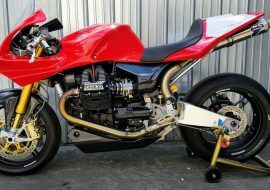 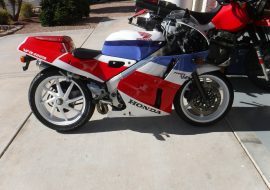 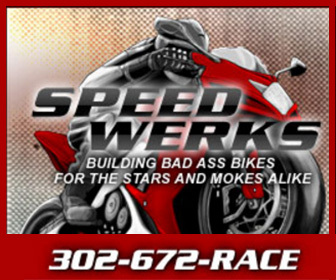 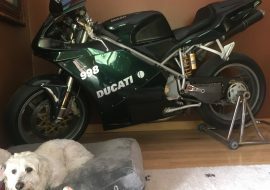 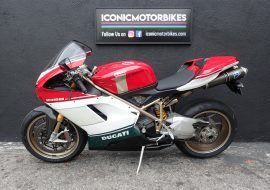 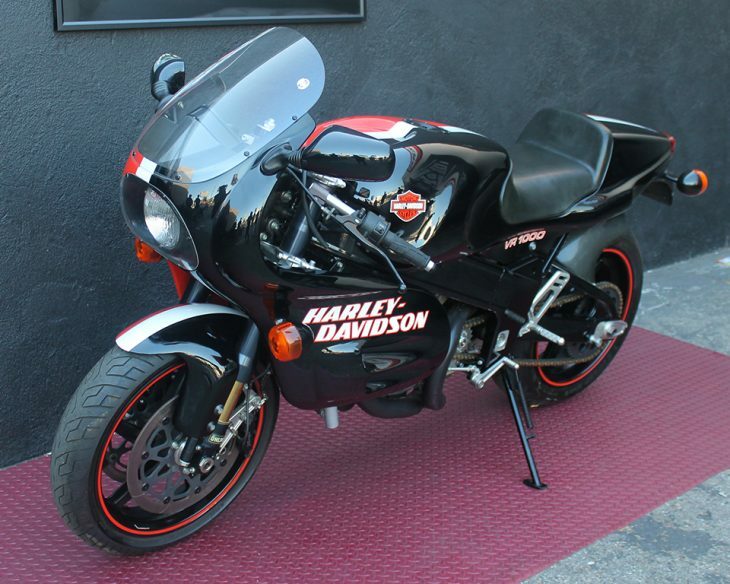 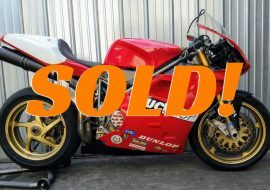 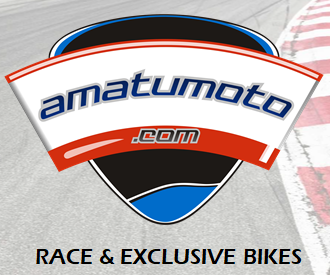 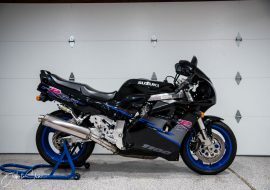 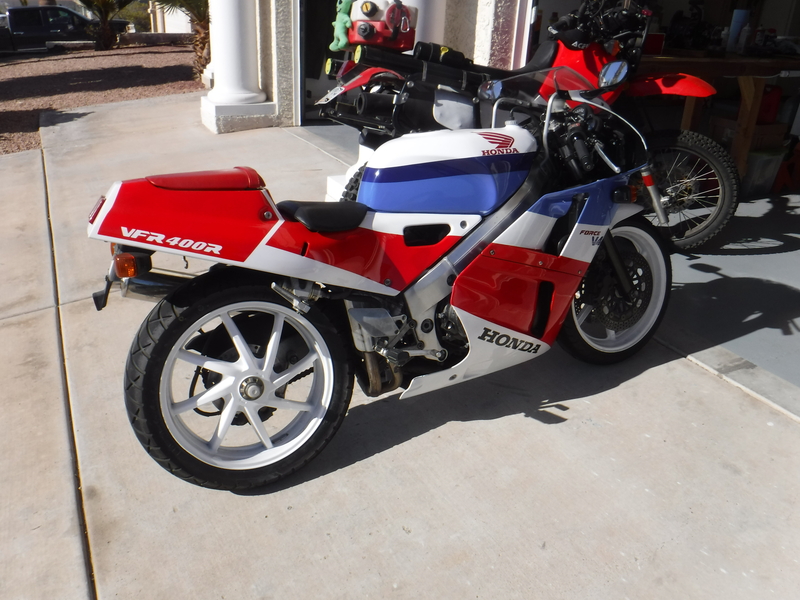 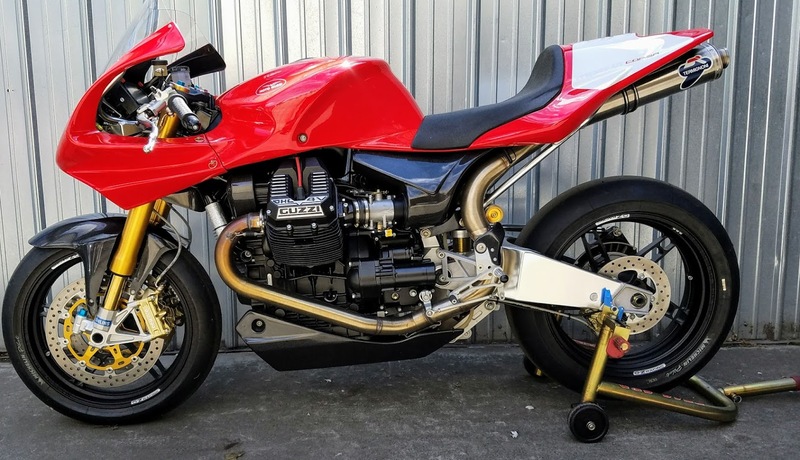 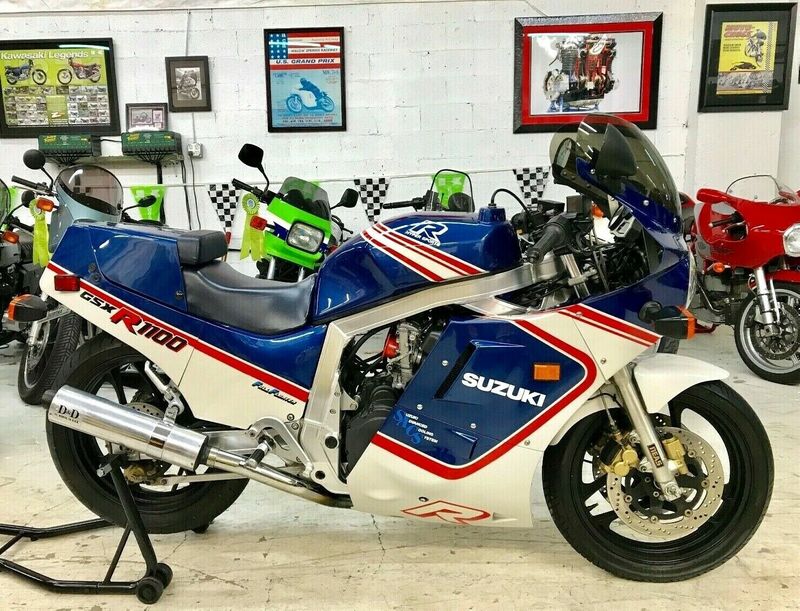 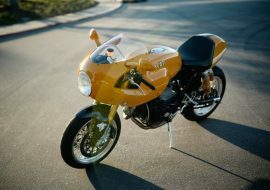 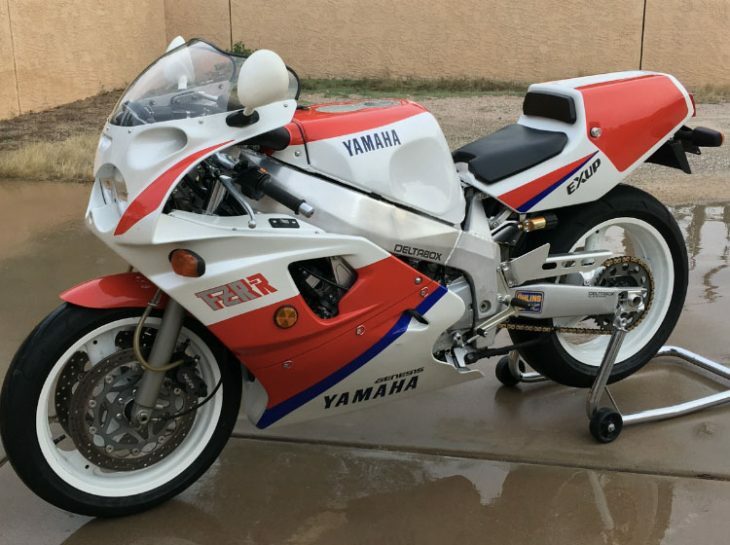 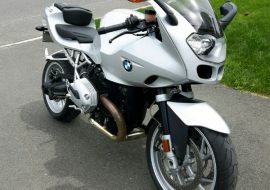 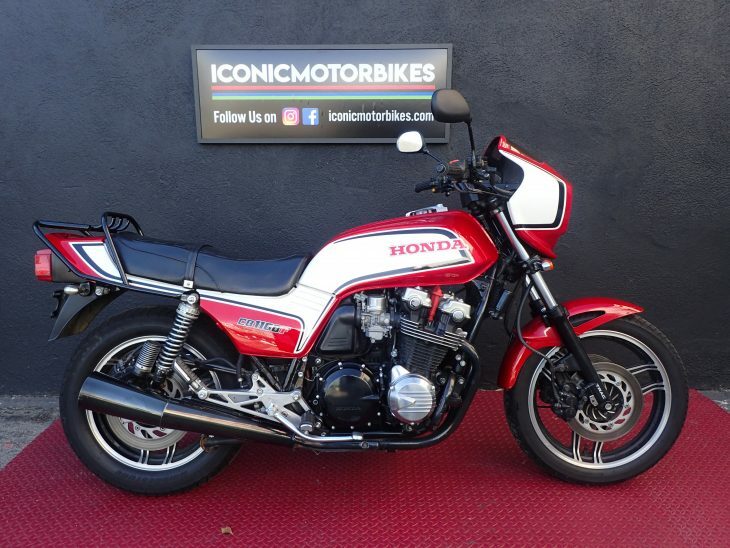 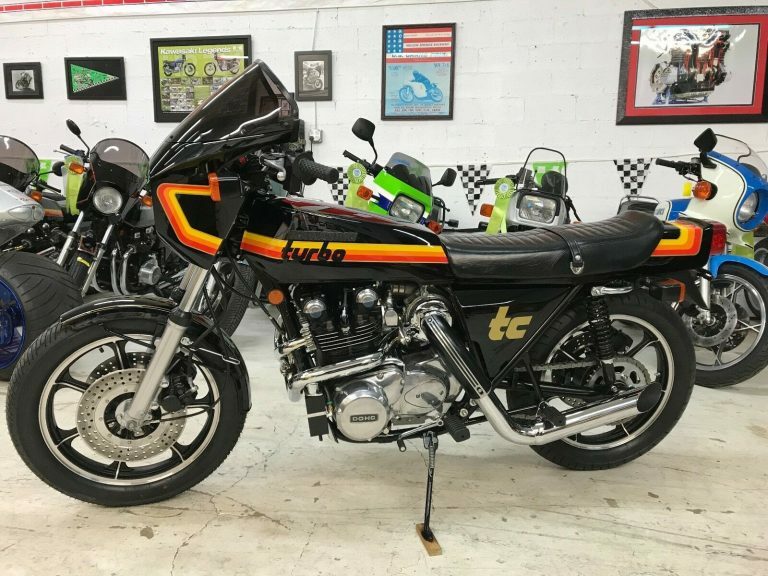 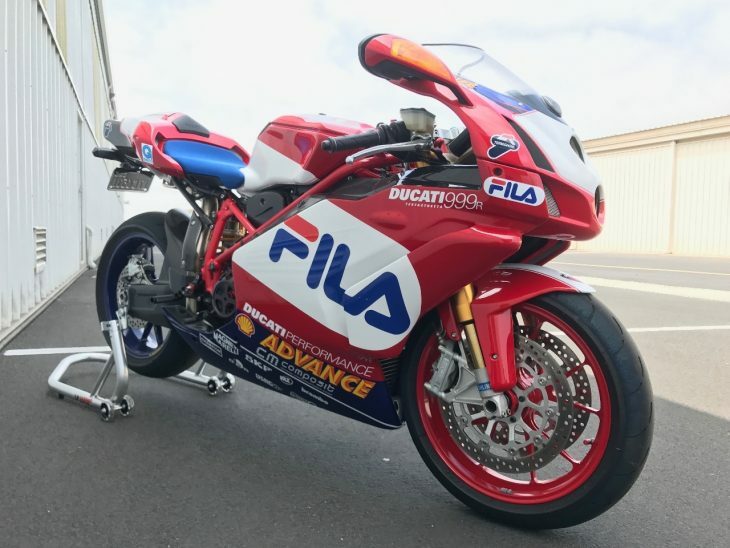 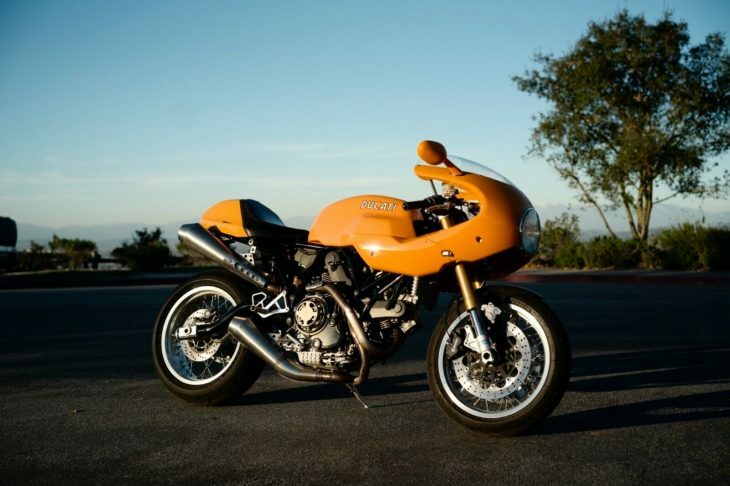 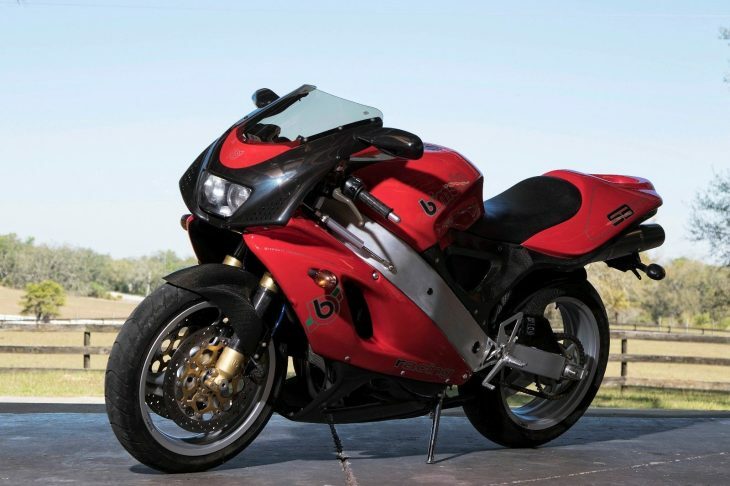 If you're looking for a really nice now-classic sportbike to liven up your weekends, this thing looks like the ticket. 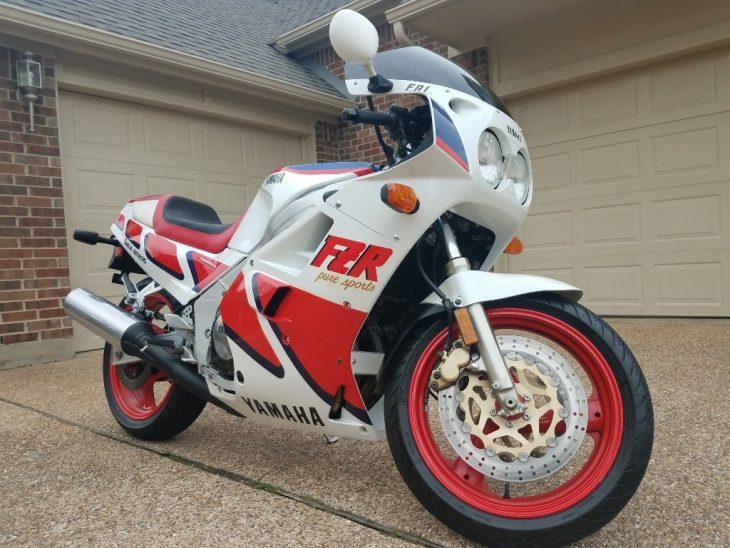 Since it's a later model, it might not approach the collectibilty of the originals, but it'll stand out anywhere you take it.